Fiddling since the ages of seven, 10 and 12 years old, the Quebe Sisters are masters of their craft. The country singers and string-pluckers bring a fresh, family-centric look and sound to Americana, and have been doing so for nearly two decades now. Grace, Sophia and Hulda Quebe have managed to break down the barriers between country and jazz, with their western-style swing that draws audiences from all around the world. The sisters will be performing for the eighth time at Levitt Pavilion Arlington this coming Friday, not too far from their hometown of Fort Worth, Texas. Read on to learn more about the Quebe Sisters and what makes them one of the most defining acts from the South. Beginning in 2000 (when the youngest sister was just nine years old! ), the Quebe Sisters began receiving copious amounts of recognition from notable acts or leaders in country music, including the likes of Red Steagall, Ricky Scaggs and Asleep at the Wheel’s Ray Benson. Not long after, they released their debut album Texas Fiddlers in 2003 featuring their unique, completely instrumental Southern sound that would earn them an invitation to perform with Warren Buffet and an introduction to the Cash family. Their second album, Timeless (2007), was their first work to feature recorded vocals – though their three-part harmonies were as magical as the band’s three fiddles. From 2008 onwards, the Quebe Sisters began touring both nationally and internationally, making stops in Canada, England, France and Russia, and seven appearances at Levitt Pavilion Arlington. Along with headlining their own shows to ever-growing audiences, they’ve shared the stage with music legends Willie Nelson, George Strait, Kacey Musgraves, Merle Haggard, Ray Price, Connie Smith, Marty Stuart, Larry Gatlin and the Gatlin Brothers, and Riders in the Sky. Despite the lengthy list of accomplishments and opportunities that many Southern artists might wish for, the Quebe Sisters are barely out of their 20’s and only just getting started. 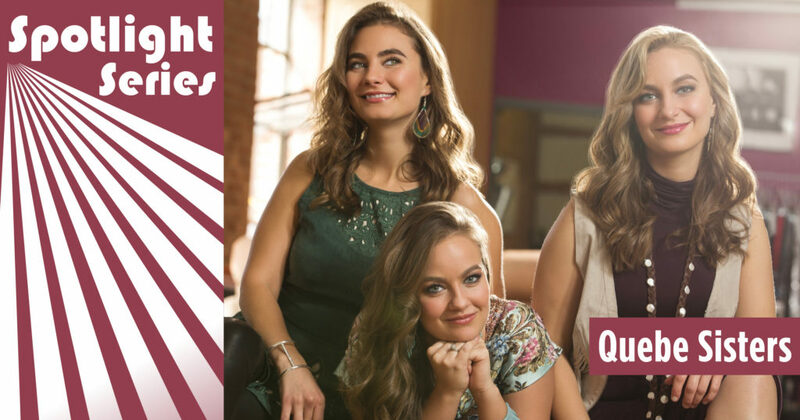 This Friday, Arlington audiences will be able to catch the Quebe Sisters once more before their ascent into country music stardom. If you’re near Arlington, be sure to arrive at Founder’s Plaza at 7 PM to ensure your spot at the historic show! This entry was posted in Levitt Artists, Spotlight Series and tagged Levitt Pavilion Arlington, Quebe Sisters on October 5, 2018 by Benj Salkind.